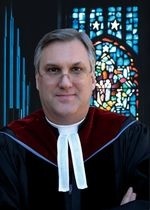 A graduate of the University of South Alabama (BA in Psychology, 1982), Union Presbyterian Seminary (MDiv and MA in Christian Education, 1986), and McCormick Theological Seminary (DMin in Executive Leadership, 1997), Dr. Goodwiller has served as the Executive Presbyter of the Presbytery of St. Andrew (north Mississippi) since 2000. In 2006 he was also elected as the presbytery's Stated Clerk. He began serving Sumner Presbyterian Church in 2016. Doyle graduated with a Bachelor of Music from the University of Mississippi and a Master of Music from Delta State University. He also holds the Presiding Bishop’s Diploma in Church Music from the Episcopal Church. Doyle served on the Episcopal Diocese of Mississippi’s Committee on Church Music and Liturgy for many years. He is employed by First National Bank of Clarksdale and is also Organist/Choirmaster for the Episcopal Church of the Advent in Sumner. Doyle has been Music Director for Sumner Presbyterian since November 2001.